Don Ho was Hawaii's Ambassador of Aloha to the world. 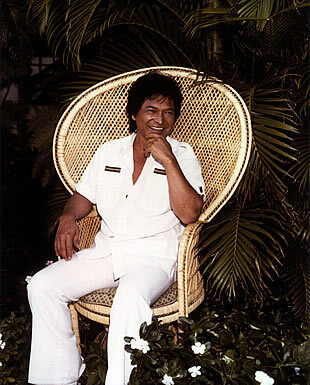 A favorite son of Hawaii, he brought people together with his charismatic personality, Hawaiian values, and music. Don Ho is Hawaii's icon and a personification of the Aloha Spirit. He was big time. But to Don, it "ain't no big thing." Whether a lifelong friend, an aspiring performer looking for a break, a grandmother from Peoria, or a member of the military, you mattered to Don Ho. In a one-on-one encounter or an appearance before hundreds on his stage, he made you feel special in his genuine "local boy" style. There was so much more to Don Ho than "Tiny Bubbles" and "Pearly Shells." 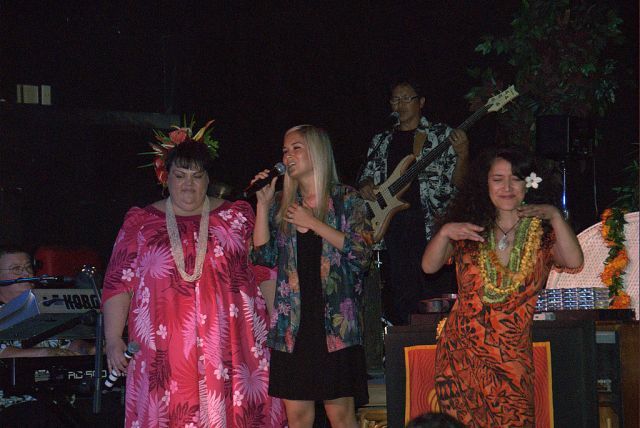 Five decades (1960-2007) of entertaining audiences, starting with a homegrown band at his parents' club Honey's in Kaneohe, to headlining Waikiki's most popular and longest running show. Guest appearances on every major TV talk and variety show, including the Tonight Show with Johnny Carson Show, Laugh-In, Andy Williams, Johnny Cash, Kraft Music Hall (seven appearances), Grand Ole Opry, and more. Star of his own ABC-TV show (1976-77), many TV specials, and numerous Las Vegas headlining appearances. Over 15 best-selling recordings, featuring songs by local composers such as Kui Lee ("I'll Remember You," "Days of My Youth"). Provided a showcase for young, local talent in his shows and inspired them to reach for greatness. That is the legacy of Don Ho, whose indelible memories and contributions during his lifetime provide an inspired foundation for the future. Don's music is the cornerstone on which he built his extraordinary entertainment career and that he used so effectively to communicate with people on all levels. It is the language through which he spoke from his heart to the world. Whether you're a Hawaii kamaaina (oldtimer) or malihini (newcomer), may you find here that special connection with the Islands that was the essence of Don Ho.